For the first time in a while I’ve came out of the cinema feeling a little uneasy at what I’d just watched, and I don’t mean this in the positive way that a good horror or thriller film can make you feel. I thought ‘The Limehouse Golem’ was a very unpleasant film that overuses gratuitous violence to the extent it left a bad taste in my mouth. I’m not against the use of violence in films and it’s obviously a key component of lots of movies, but by the time I’d seen a fifth re-enactment of a brutal murder I’d seen more than enough. It feels like the film is going for something akin to the artful crime scenes utilised to great effect in the likes of TV’s ‘Hannibal’, but in ‘The Limehouse Golem’, everything is shot in drab, murky colours and I felt it was unnecessary. 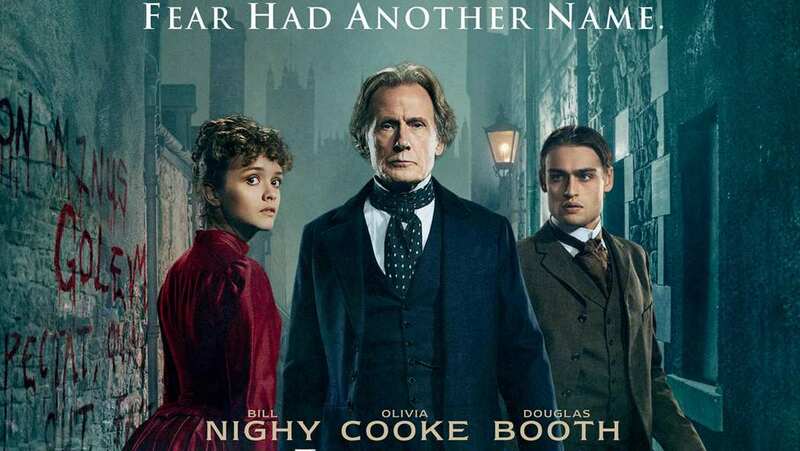 The film itself is set in London of the late 1800s, when an inspector (Bill Nighy) is tasked with hunting down a serial killer known as ‘The Limehouse Golem’. He identifies a group of potential suspects fairly quickly, one of whom draws him to a separate but linked case about a young woman (Olivia Cooke) accused of poisoning her husband. The film then delves into an overly convoluted plot with too many characters crammed in as it attempts to establish the credentials of each potential suspect, whilst also devoting time to the case involving Olivia Cooke’s character. There are lots of flashbacks as we move back and forth in time, a series of events depicted through the unreliable narrator device and an approach that juggles all suspects and only rules anyone out at the latest possible moment. All of this could work in the right hands, but ‘The Limehouse Golem’ is not as clever as it thinks it is, and I felt disappointed at the end, without even considering my distaste at the films style. I really like Olivia Cooke (she’s particularly great in TV’s ‘Psycho’ prequel ‘Bates Motel’) and Bill Nighy is always a pleasure, but ‘The Limehouse Golem’ is a poor film that straddles them with an over written narrative and a directing approach that left me feeling cold.